Schild Estate is a family winery located in Australia’s famed Barossa Valley, established in 1952. Ed Schild took over the operations of the winery when he was just 16 after the untimely death of his parents, and he’s still working the vineyard with his children, and now grandchildren. Three generations of Schild family members manage 450 acres of vineyard, and produce award-winning wines, among them a top-rated Shiraz which placed #7 on the Wine Spectator list of Top 10 Wines in the World in 2008. I have enjoyed Australian wines for as long as I have been drinking wine. Like many people developing a taste for wine in the early 2000s, I drank a lot of inexpensive Yellow Tail and Lindeman’s at first; perfectly good wines, but after a while I wanted something of more substance, and so I steered more toward Napa and Italy. The idea that Australia only produces cheap wines of low to moderate quality, however, is totally untrue. 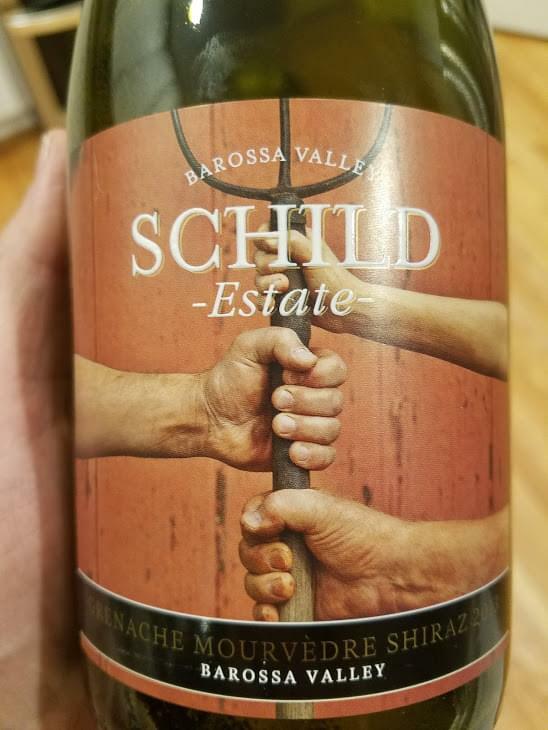 Some of the best wines in the world come from Australia, and Schild is definitely a winery to be reckoned with when it comes to quality, while still offering wines at a reasonable price. Case in point: the 2013 Schild Estate GMS, a Barossa Valley take on the classic Rhone GSM blend. Mostly Grenache (47%), with Mourvèdre (27%) and Shiraz (26%), this is a fruity blend of red and dark berries, with a strong backbone of pepper and spice. I tasted bright raspberry and cranberries at first, followed by ripe blueberry and blackberry, but this wine is not a fruit bomb: there was solid spice and pepper mixed with chocolate and liquorice which made it a very interesting wine to experience in this price range. On my five-cork scale based on taste and value, the 2013 Schild Estate GMS blend gets 3.75 corks! It’s a 90 point wine available for less than $20, and often on sale for around $15. Pick up a bottle and let me know what you think! If you’d like to try interesting wines like this, please join me at our next private wine party at Matt the Miller’s Tavern! I host a wine dinner there every month, and we feature several interesting wines, each paired with a delicious course. 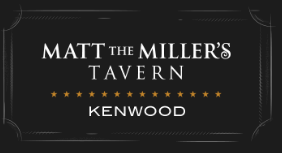 There are always cool prizes to win, too, so listen Wednesday at 4:15 to win your spot on the guest list, or click here for a chance to win!